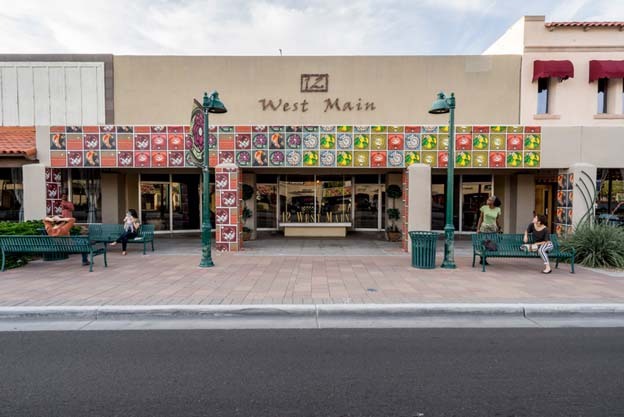 Downtown Mesa on Maint Street between Country Club and Center Street. On view through October 2015. 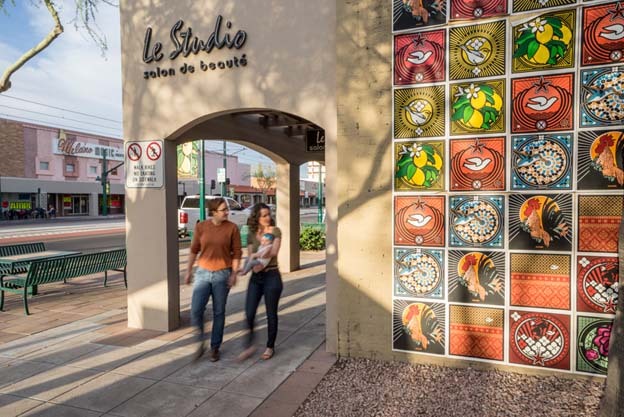 Printmaker, Jake Early “wallpapered” nearly 3,000 square feet of outdoor, public wallspace in Downtown Mesa between Center and Robson, with approximately 1200 individual screenprinted posters, designed and printed in his studio. Early created new, original images that celebrate Mesa and its unique contributions to the region. 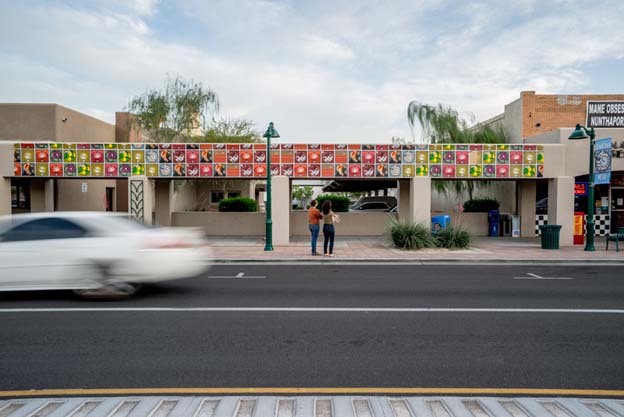 Technically, the installation achieves a look of spontaneously installed “street art,” but done with the full support of the City of Mesa. Early’s prints are all hand printed, archival quality fine art pieces typically shown in galleries. Hung in public spaces, the prints are exposed to the weather and out in the world for all to see and touch. 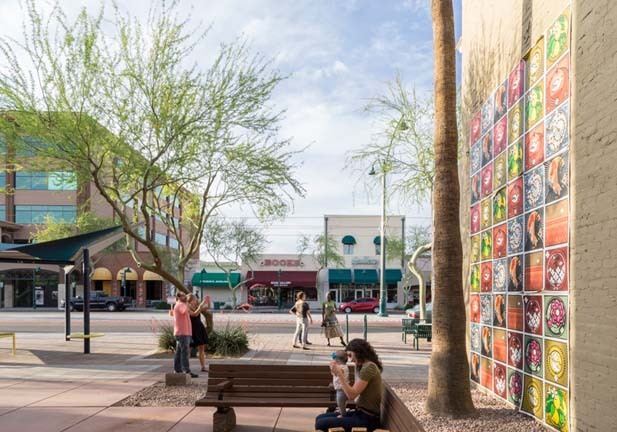 This installation was commissioned by NEDCO and Downtown Mesa Association.